The GPIM project aims to introduce AF-M315E as a green alternative to hydrazine (Credits: NASA). Currently, the most common fuel used in satellite and spacecraft thrusters is toxic and not very safe. A joint US government and industry team will be testing a safer propellant, called AF-M315E, for use in future missions. “We think the payoff for this is going to be really huge if we can take the first step in getting rid of toxic propellant,” said Randy Lillard, an aerospace engineer from NASA’s Office of the Chief Technologist. 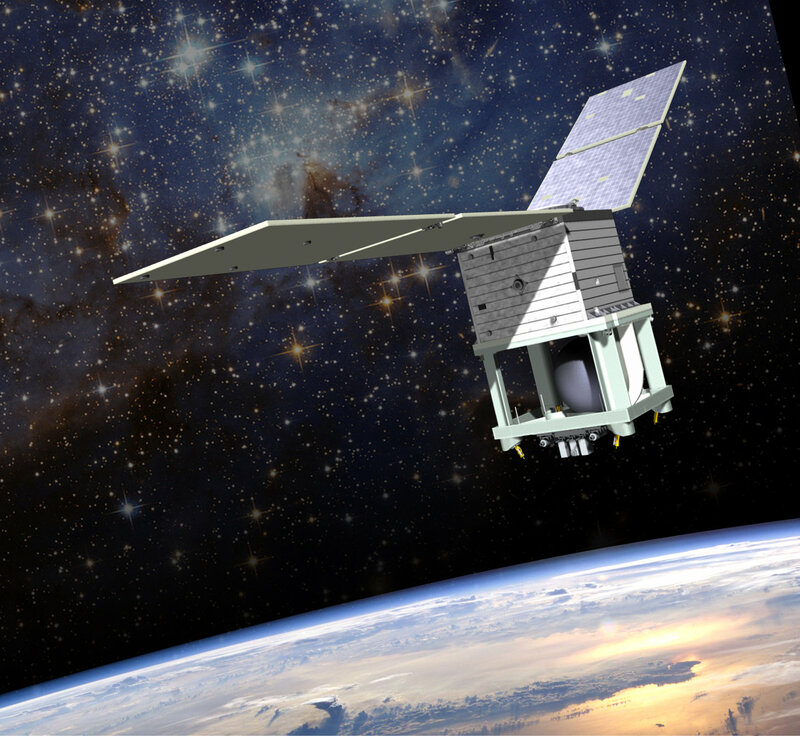 The $45 million project, run by NASA Glenn Research Center and the Air Force Research Lab, is named the Green Propellant Infusion Mission (GPIM). It is expected to demonstrate the practical capabilities of AF-M315E as a high-performance, environmentally friendly alternative to hydrazine. Hydrazine requires careful measures in transportation, storage, and handling. It poses health hazards including irritation in the throat and eyes, and skin rash if exposed to the liquid or its vapour. Long term exposure can cause serious illness and can even lead to death. AF-M315E is comparatively safer and easier to transport, store, and hande. The propellant also has higher density and higher specific impulse compared to hydrazine, and is expected to improve overall performance efficiency of the spacecraft. One shortcoming of AF-M315E is that it requires a higher temperature for combustion compared to hydrazine. Therefore the ignition system and engine housing would need to be designed to bear the high temperature. A demonstration of the new propellant is planned to be launched to orbit in 2015 onboard the Ball Configurable Platform – a compact small satellite. GPIM needs to prove its capabilities and reliability in real space conditions. “It has to work precisely, and every time,” Lillard said. Although there would be costs associated with transitioning existing vehicles from hydrazine to AF-M315E, the enhanced efficiency of the new propellant is expected to offset such costs.